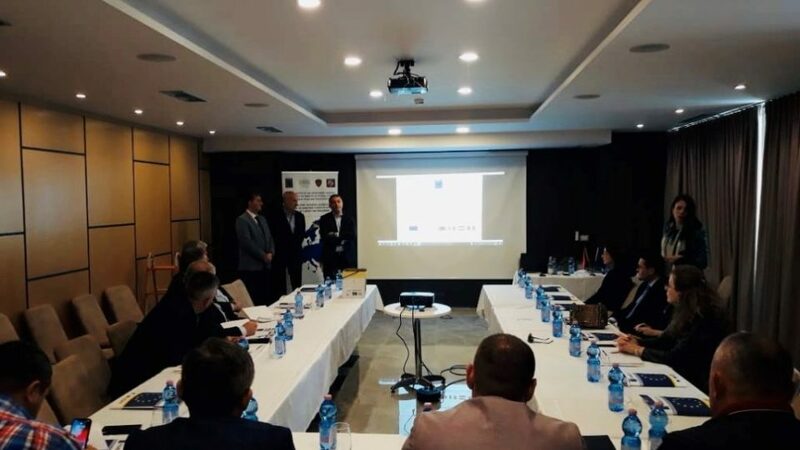 PAMECA V, in close cooperation with the DNA Sector of the Forensic Police Institute, organized the second regional workshop on DNA expertise in the investigation process in Vlora with police employees of Local Police Directorates of Vlora, Fier, Berat, Gjirokastra and Police Commissariat of Lushnje, Permet and Saranda and prosecutors of the Prosecution Office of Vlora, Fier, Berat, Lushnje, Gjirokastra, Permet and Saranda, on the 4 April 2019. This workshop focused on topics relating to legal framework, regulations in terms of requests for DNA analysis, practical issues regarding mixed/simple DNA profiles, crime scene management, the cost of DNA expertise and the international recognition of the Albanian DNA sector. All participants became aware of the fact that requests for DNA expertise should be appropriate and reasonable. Prosecutors and police investigators must prioritize their requests, based on the seriousness of the case and the need for DNA analysis. A scientific process can be undertaken under some requirements and conditions. If those requirements and conditions would not be taken into consideration, then the result would be simply null. To avoid any waste of time, money, wrong information, and more than everything to avoid any contamination of a crime scene, all law enforcement employees involved in a crime scene must comply with the rules and standard procedures applicable for preservation of the crime scene, collection and packaging of evidence, before it is sent to the Forensic Institute for DNA analysis.